It is getting close to that time of year when you will be looking for swimwear for the family. There are so many new styles and selections to choose from that you could spend all day going from store to store or you could go online and look at all the latest selections in one location. From baby swimwear to adult outfits, the variety of colours, designs and options is greater than ever. Swimwear is often times best appreciated when it not only fits well but also accentuates all the positives. Additionally, if you can find name brands for a good price, you know you are getting the best quality possible. 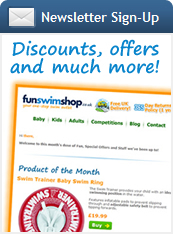 Brands to be aware of and to check out would include About, Speedo, Zoggs, Splash and others. When you can choose both the style you want and the brand that you desire, you will have the best of both worlds. For kids you can think about wetsuits, sun protection fabric suits, one and two piece suits and nappies. For adults, your options include shorts, and other styles. Women often like the one and two piece styles as well as wetsuit tops and bottoms. 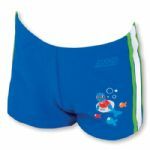 Depending on who you are buying for, you will find that there are many varieties of swimwear that will suit them. Choose brilliant colors that will make you stand out. Make sure you pick sizes a bit large when considering buying for children (you know how fast they grow). Lastly, stick to the style that you will be comfortable in so that you will wear it regularly and remain comfortable.